Apple Tree Cottage in Ropsley, near Grantham, Northumberland sleeps 2 people. Apple Tree Cottage near Grantham is a semi-detached cottage which has an elevated position, close to the centre of the village, yet in a quiet location. Apple Tree Cottage is just a short stroll from the village pub, which serves food and drink 6 days a week (closed on Mondays), as well as tearooms for refreshment and there is a shop nearby. Grantham is only 10 minutes’ drive away, with Stamford the home of the famous Burghley Horse Trials just a 25 minute drive away, both with mainline stations into London. Lincolnshire is well known for being the Bomber County in WWII, and there are many interesting sites and museums to visit. Norfolk and its sandy beaches are approximately an hour’s drive away, with Rutland Water and its peninsula, great for days out and long walks. Good cycle routes and walks abound in this area for those that like to explore by pedal or on foot, with the village pub or the log burner in the cottage to relax in front of after an great day out. The nearest shop is 7 miles from Apple Tree Cottage near Grantham, with the pub and restaurant 200 yards from Apple Tree Cottage. Living area: With wood burner, 32 Freeview TV, DVD player and tiled floor. Electric underfloor central heating, electricity, bed linen, towels, Wi-Fi and logs for wood burner included. Welcome pack. External utility room with freezer, washing machine and tumble dryer, 30 yards. Enclosed lawned garden with terraced patio, garden furniture and barbecue. 1 small dog welcome. Bike store. Private parking for 2 cars. No smoking. Holidays at Apple Tree Cottage run from Friday to Friday. 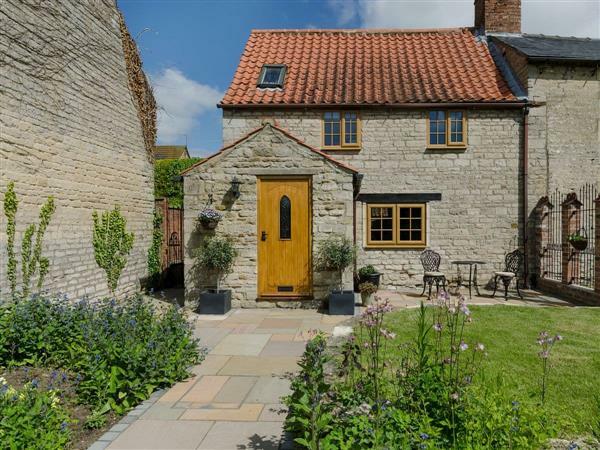 Apple Tree Cottage is in Lincolnshire; should you be on the lookout for a special offer, you can find all the special offers in Lincolnshire. It's always worth checking to see what is on offer at the moment. Do you want to holiday near Apple Tree Cottage (UKC3367), you can see other cottages within 25 miles of Apple Tree Cottage; have a look to find your perfect holiday location.